...with peaks above you and below you. A helicopter ride is an unbelievable experience. You can fly close to mountain walls, low enough to skim the water or the crest of a hill, and hold position to observe a waterfall or rock formation. 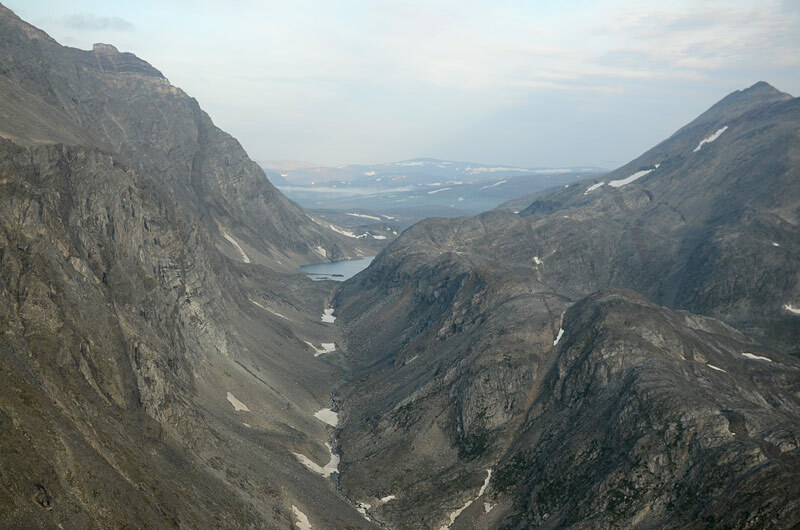 Our pilot is a photographer himself and he flew us to some spectacular locations in the Torngat Mountains.